Broadcasting Friday Feb 20th @ 6.30pm for 8 weeks. 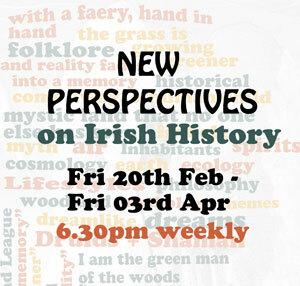 New Perspectives on Irish History is a brand new 8 part radio series devised by John Haughton, which takes a unique look at how our ancestors viewed their natural environment and how different periods of history co-existed with the natural environment of our island. In this instance this series relates to the themes of Irish History, heritage, experience and the natural environment and will raise public awareness to a unique historical perspective. Expert contributions come from Andrew St. Ledger of the Woodland League, Lord Ross of Birr Castle, Dara Molloy Celtic Priest, Padraigin Clancy expert in Celtic Mythology and Folklore and Professor Patricia Lysaght of the School of Irish, Celtic Studies, Irish Folklore, and Linguistics, University College Dublin, among many others. The series uses narration, music, poetry and voxpops to bring the themes under analysis to life in an entertaining and engaging manner. 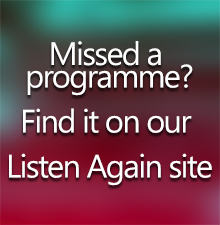 This series is made with the support of the Broadcasting Authority of Ireland Sound and Vision scheme.